NO KA'OI's 'Lani' sports bra is perfect if you prefer styles with a high level of coverage at the front. 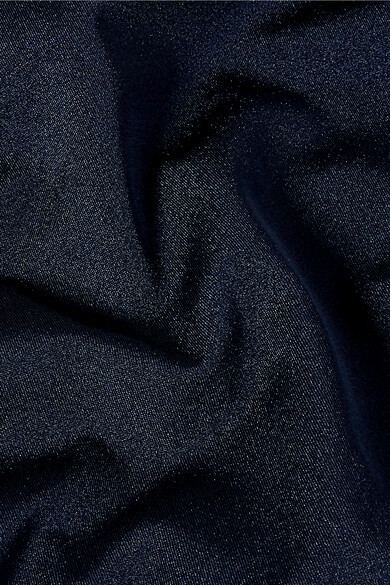 Designed to work for a variety of workouts, this ‘Mahina’ version is made from subtly metallic stretch fabric and has a wide elasticated ridged underband to prevent it riding up during class. 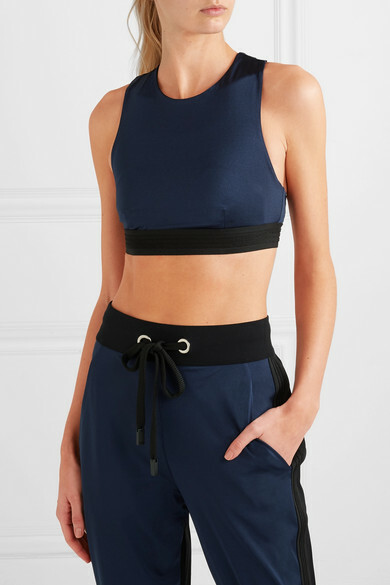 Coordinated sets are always a good idea when it comes to workout outfits, so don't miss the matching track pants. Shown here with: NO KA'OI Mat, APL Athletic Propulsion Labs Sneakers.